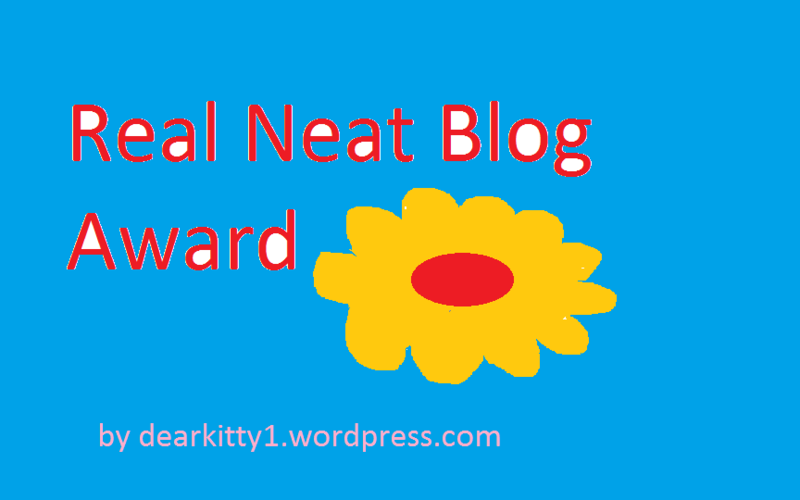 Real Neat Blog Award, congratulations, twelve nominees! 1. Put the award logo on your blog. 2. Answer 7 questions asked by the person who nominated you. 3. Thank the people who nominated you, linking to their blogs. 4. Nominate any number of bloggers you like, linking to their blogs. 1. Where do most visits to your blog come from? 2. What is your favourite sport? 3. What has been a special moment for you so far in 2018? 4. What is your favourite quote? 5. What was your favourite class when still at school? 6. Anything you had wished to have learned earlier? 7. What musical instrument have you tried to play? This entry was posted in Computers, Internet and tagged blogging by petrel41. Bookmark the permalink.